Universal Master Products is a research, pills development and marketing company with a focus on commercial refrigeration. Universal Master Products Limited has been established since April 1992 as an R&D company based in London and Dorset UK, and currently undertaking development work in improving the performance of commercial refrigeration. 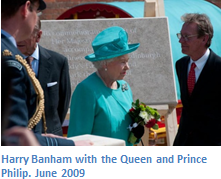 Its R&D Centre based at Bere Farm near Poole, Dorset is a converted barn, and was formally opened by the Queen and Prince Philip in June 2009. It is said that refrigeration uses approx. 20% of the world’s electricity, but it could well be argued that most of this is not working either properly or efficiently, generally due to a lack of maintenance or simply a poor understanding of the equipment. Thereby using up considerably more of the world’s energy resources than it needs to. With the rapidly rising energy prices globally there is considerable margin for improving commercial refrigeration performance with energy saving products. Refrigeration equipment has changed little over the past 50 years other than to introduce electronic control systems, a change from CFC to non CFC refrigerants and its use of better and cheaper materials. Whilst some of these changes have improved refrigeration performance, others have not. The new refrigerants developed since the CFC ban, imposed after the damage to the ozone layer, has been a process not without its limitations and indeed failures, and this has caused a general depletion of efficiency of the equipment, compared with the previous, more efficient CFC based refrigerants. Therefore other means must be developed to combat this and bring the world of refrigeration up to date. With this in mind Universal Master Products has developed and are bringing to market a number of refrigeration equipment & products that will enhance refrigeration performance.